Children should not be a number. : "Sit and Stare" not required. A movement to end high-stakes testing in New York State and our nation. Parents need to start this revolution by opting out their children from state testing programs in order to take back public education from the corporate reformers who are destroying the education of our children. 2019 Refusal Letter & Info. What Opt Out is NOT. "Sit and Stare" not required. 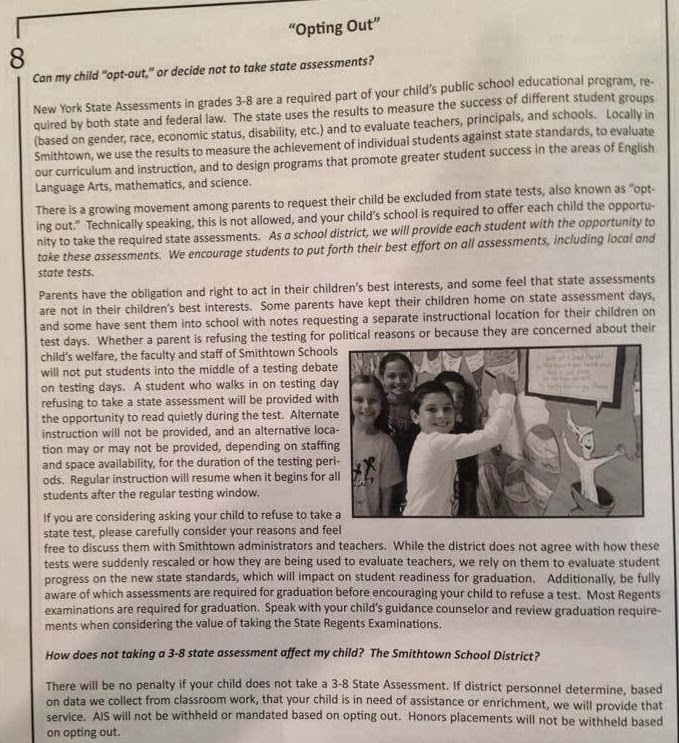 There is much confusion about how schools should administer the state assessments to children whose families have made the decision to "refuse" the state examinations. 1. Your child does not have to have the test placed in front of them for refusal- a parent letter will take care of the refusal. 2. Your child does not have to "sit and stare" while other students work on the test. I recommend working with your school and other parents as soon as possible to plan accommodations for students who are not taking the tests. Husband, parent, Western New York educator and School Board Member who is dedicated to end the high-stakes standardized testing that is ruining the education of our children. The opinions expressed on this blog are my views as a private citizen and most importantly as a parent. All posts on this blog are meant as informational for the process of boycotting high-stakes testing and are not meant to be legal advice. An Opt Out must: The PARCC field tests. We are more than a number. Some great sites to visit. The "999"ers: Something is not right.